Directions: From I-70 take the "No Name" exit and turn right (following signs for Hermit Gulch) into the large parking area and trailhead. 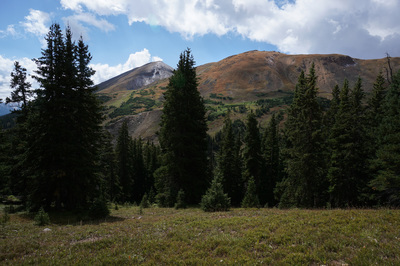 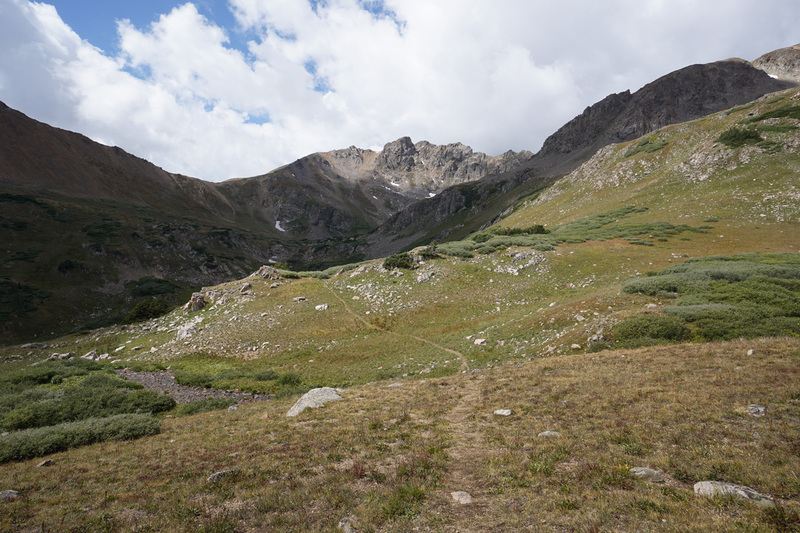 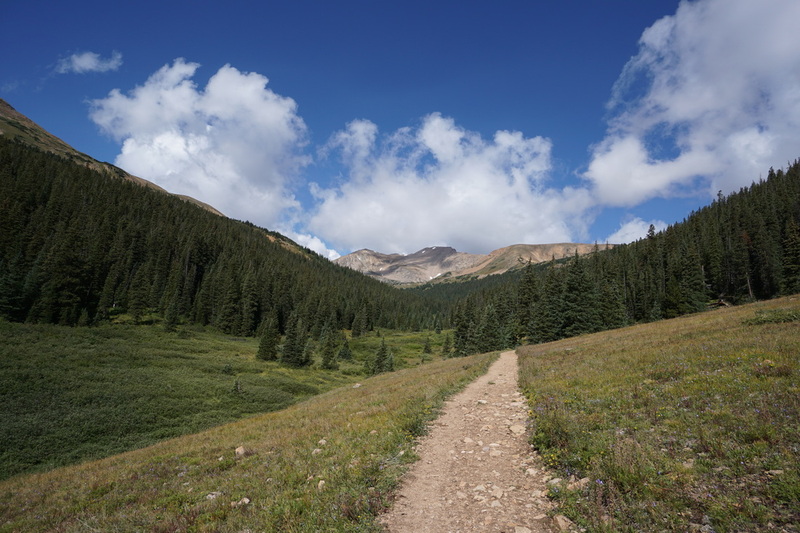 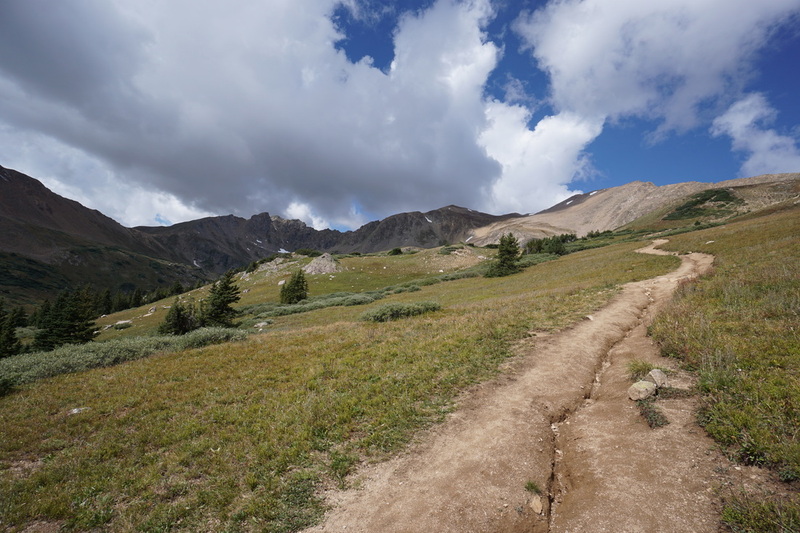 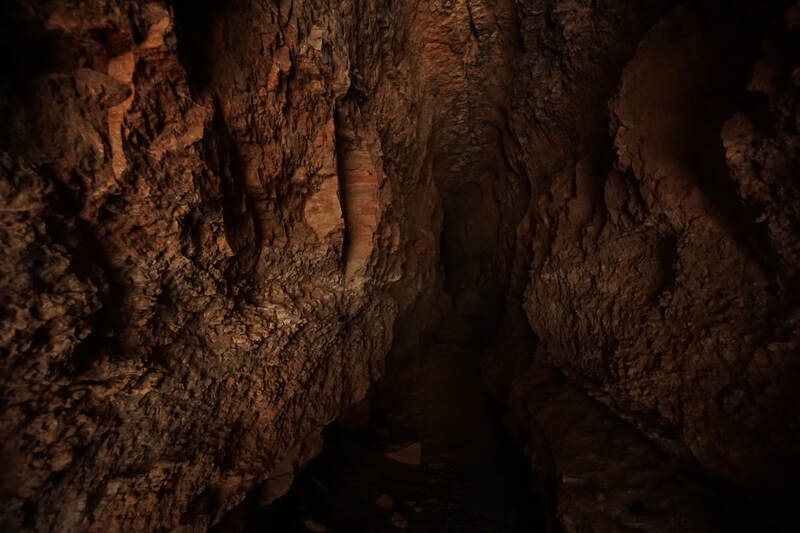 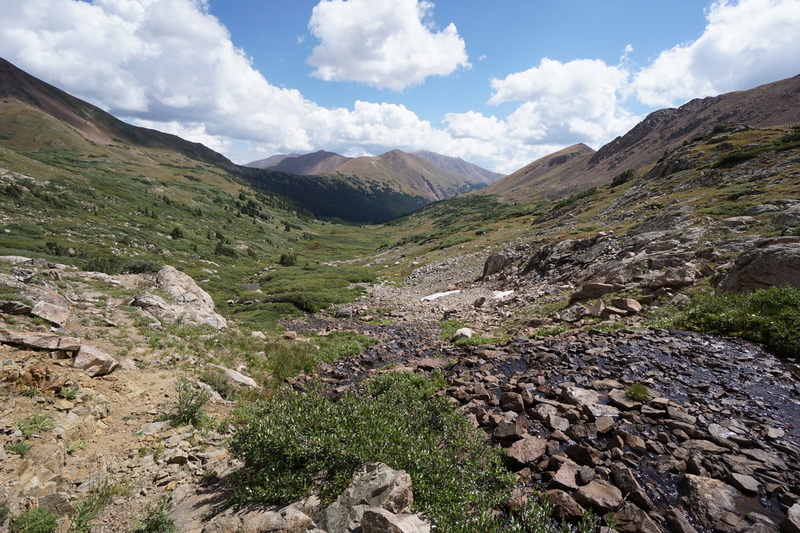 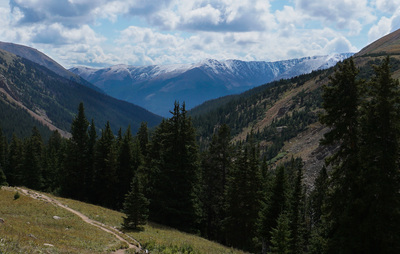 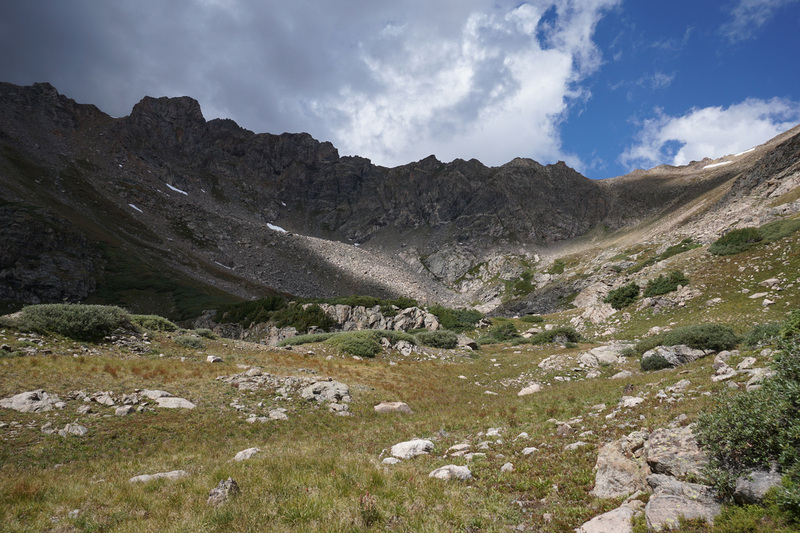 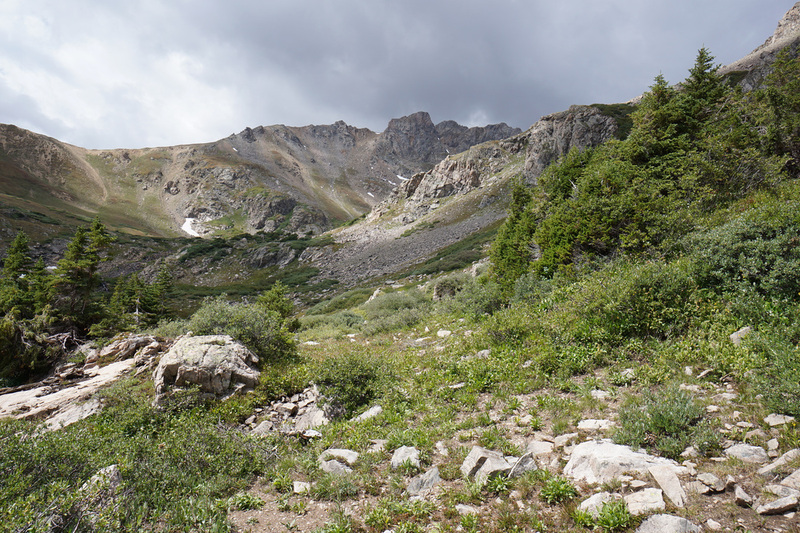 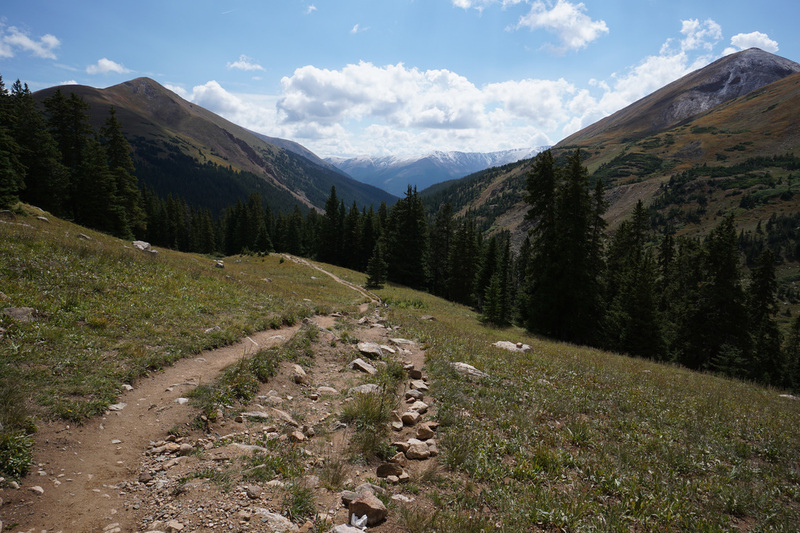 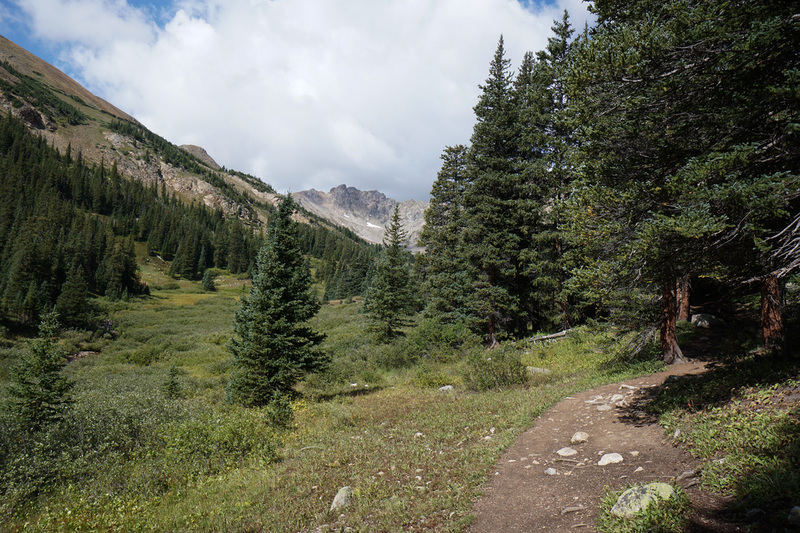 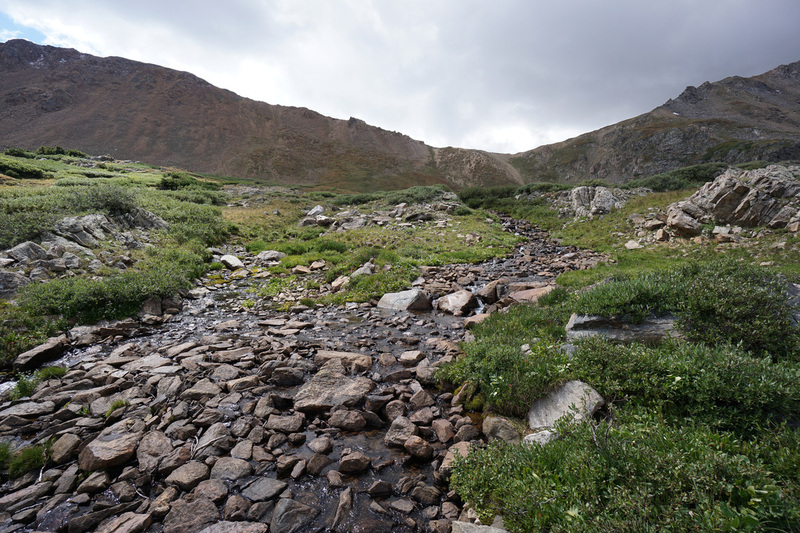 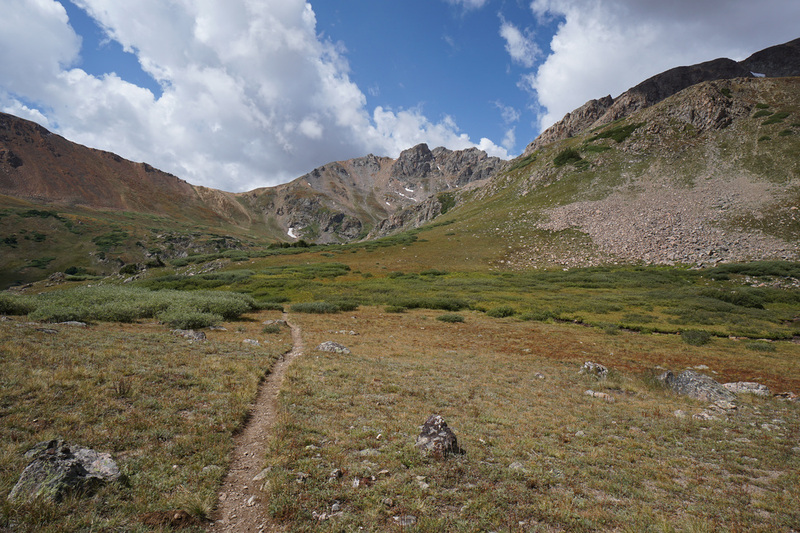 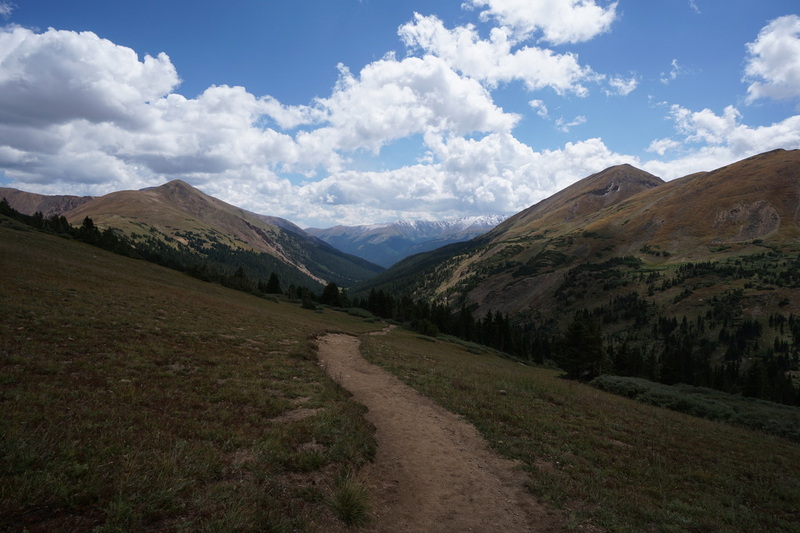 Hermit Gulch is a classic Front Range hike. This trail is well known and heavily used on summer weekends. 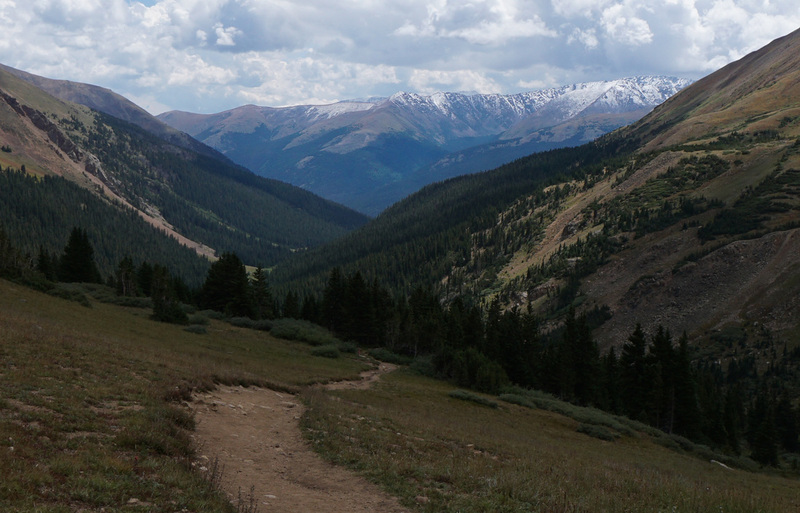 That being said, the trail is phenomenal and should not be overlooked. 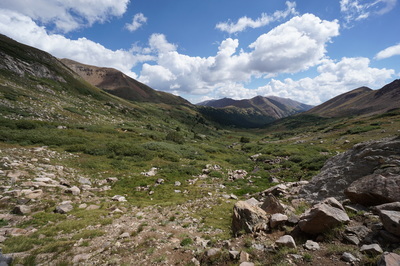 The hike is relatively easy and the destination is stunning. 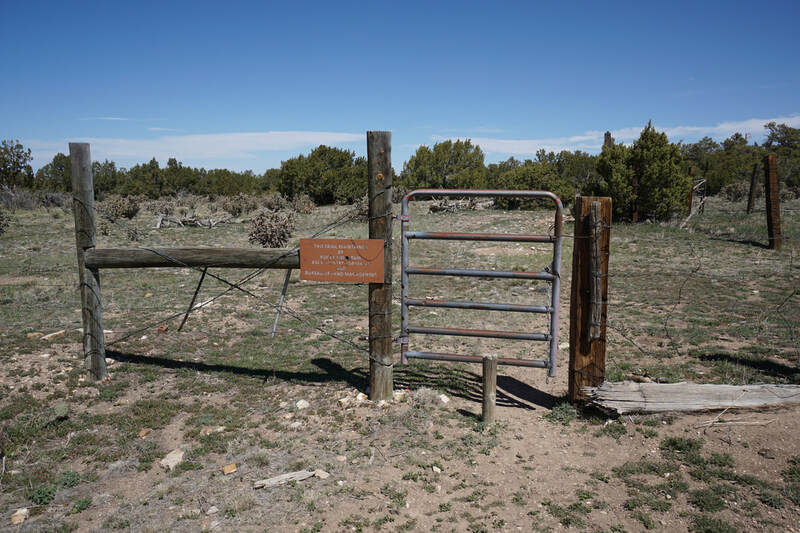 From the trailhead start out through the pine and aspen forest on a gentle slope until you reach the unsigned junction with the Watrous Gulch Trail, turn left (west) here. 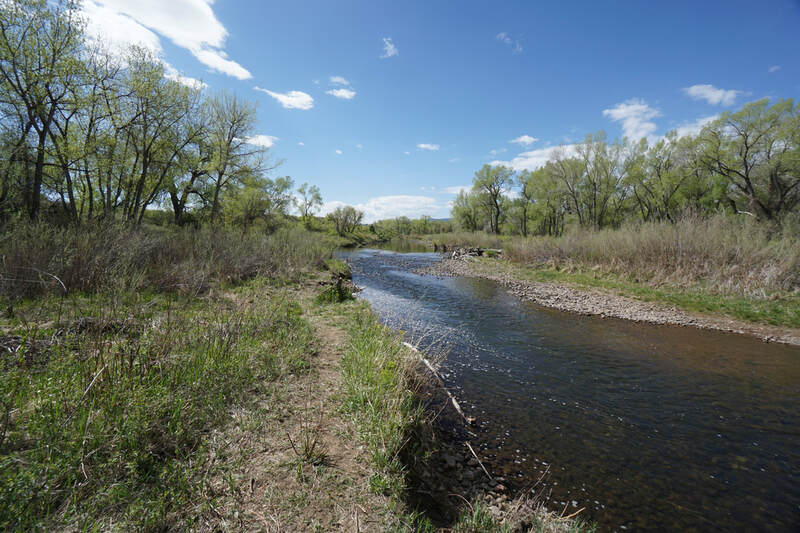 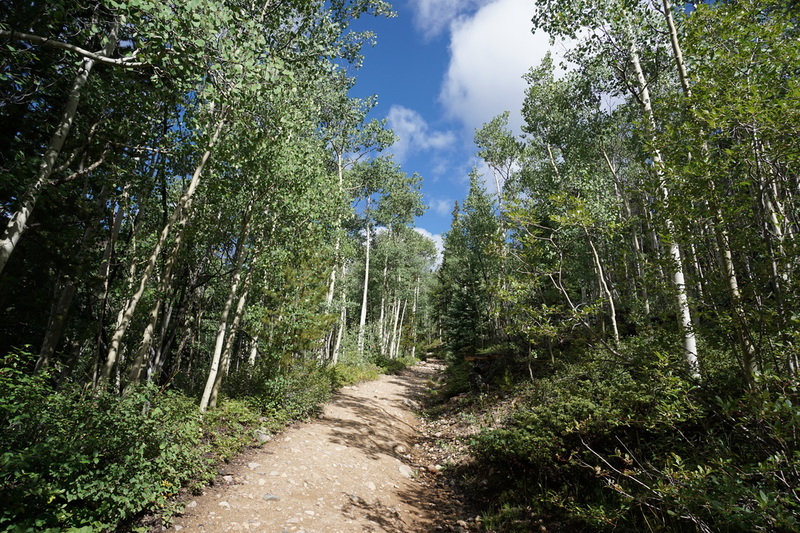 The next ¼ mile or so steeply climbs through aspens along a scenic creek. You get your first views along this stretch as Mt. Sniktau (13,000+ ft) rises to the south. 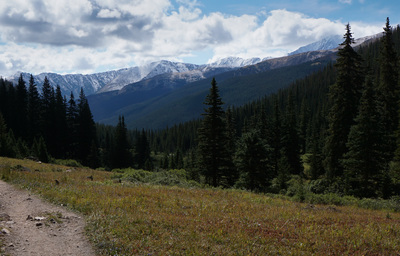 After a short time the trail flattens as you enter a broad meadow with your first views of Pettingell Peak rising in the distance. Although you can’t yet see it, Herman Lake sits at the base of the peak. 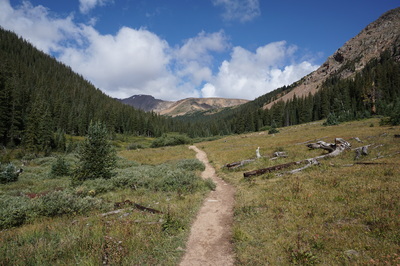 Weave in an out of Forests and meadows for the next two miles with views up and down valley coming and going. 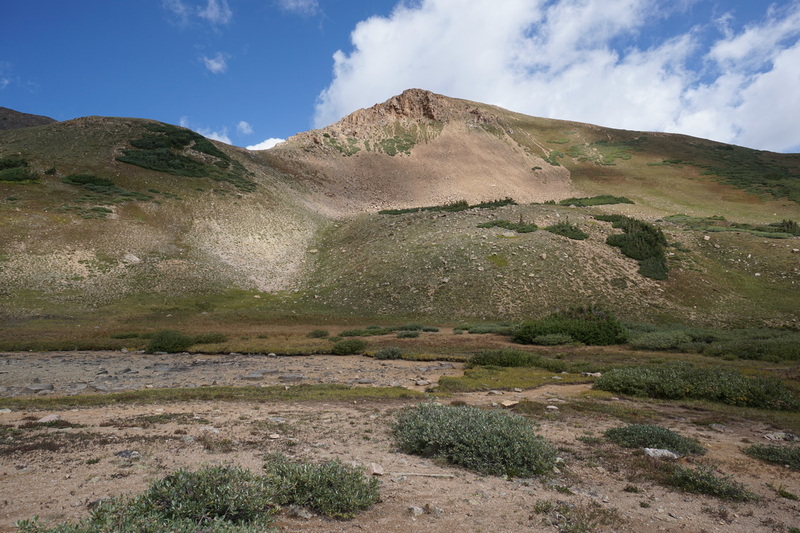 Be sure to look back down valley to see great views of Torreys Peak and the Kelso Ridge. 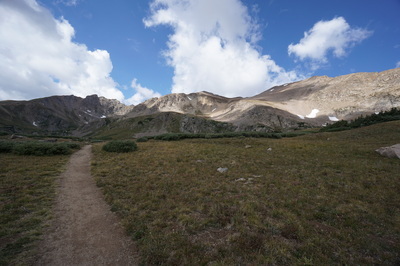 Before long you’ll get a quick look at “The Citadel,” the sawtooth ridge to the west of Pettingell Peak. 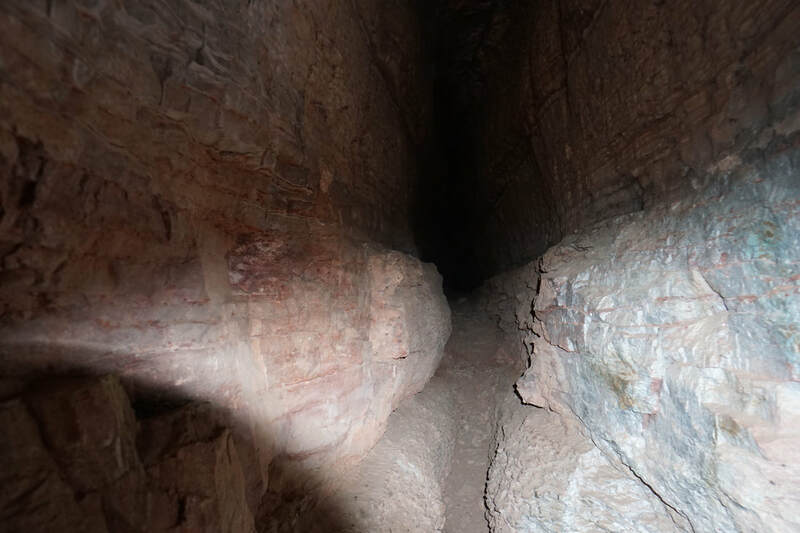 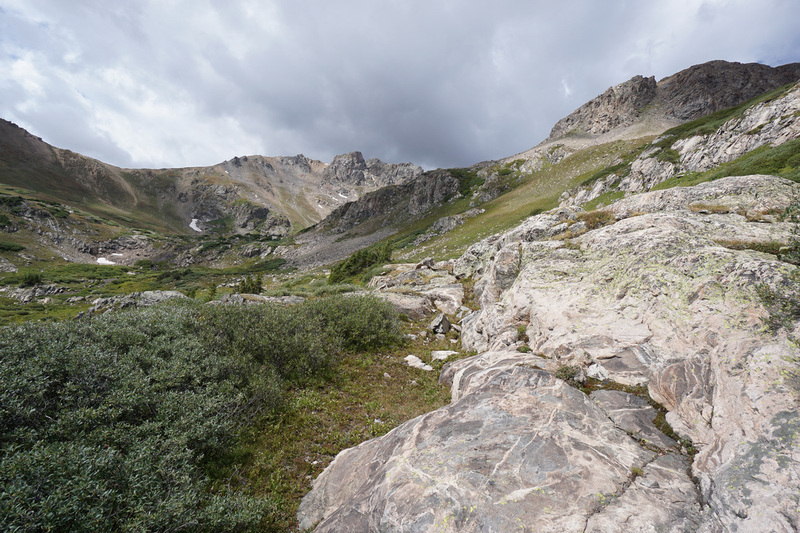 This stunning rock formation will be in full view as you break treeline and start the gentle approach to Herman Lake. Just before the lake you’ll come to the junction with the Continental Divide National Scenic Trail and a sign for Mt. 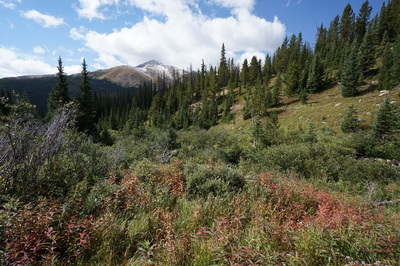 Machebue. 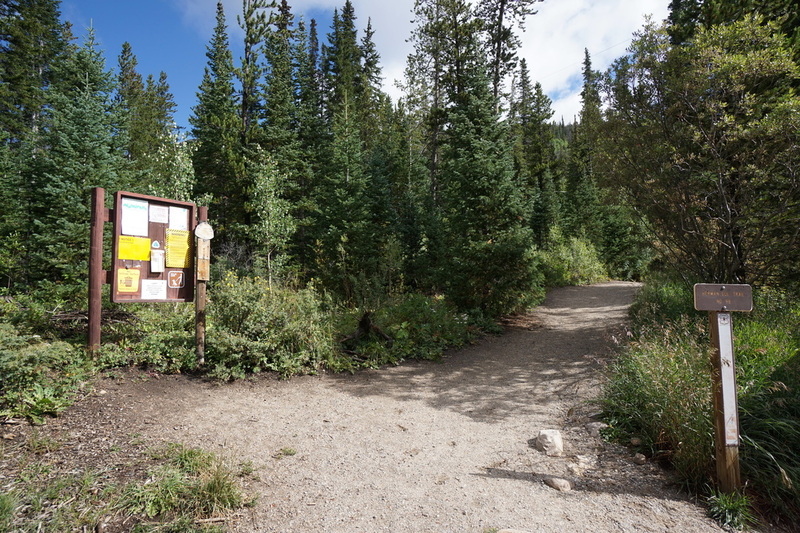 Disregard this junction and continue straight. 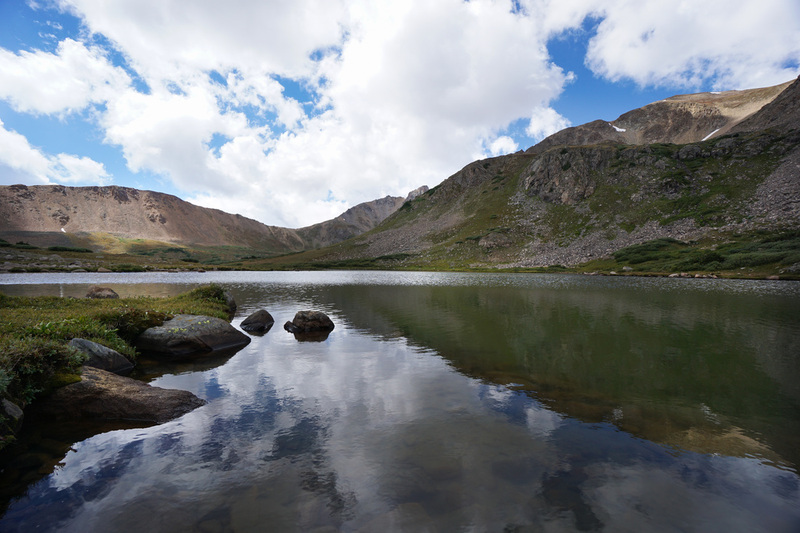 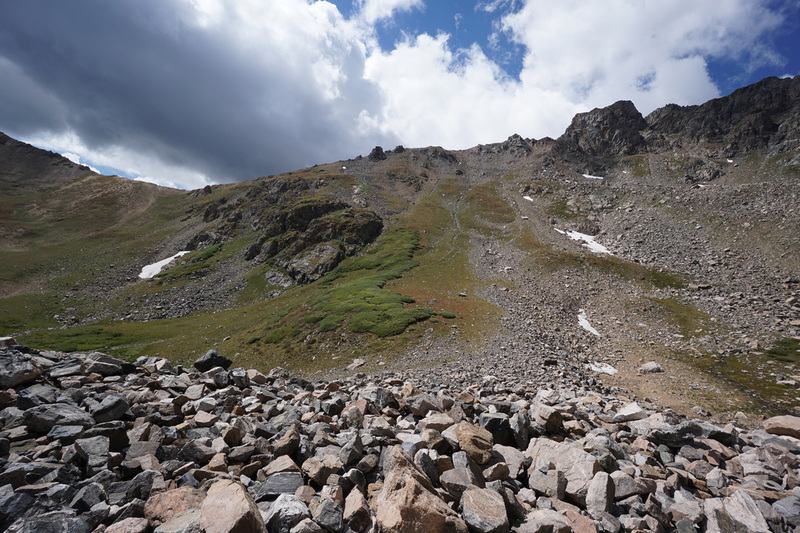 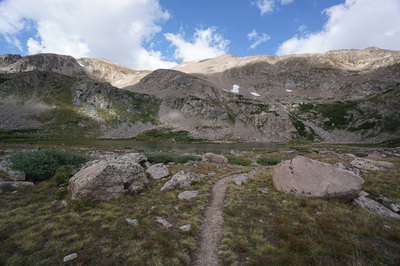 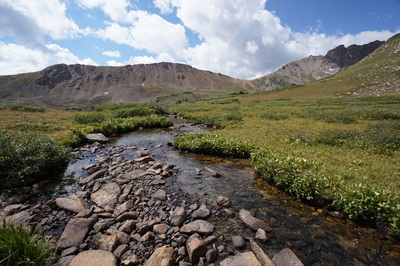 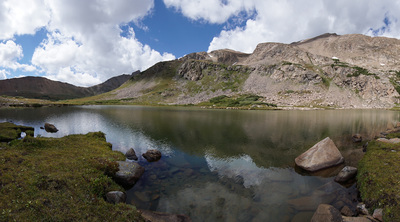 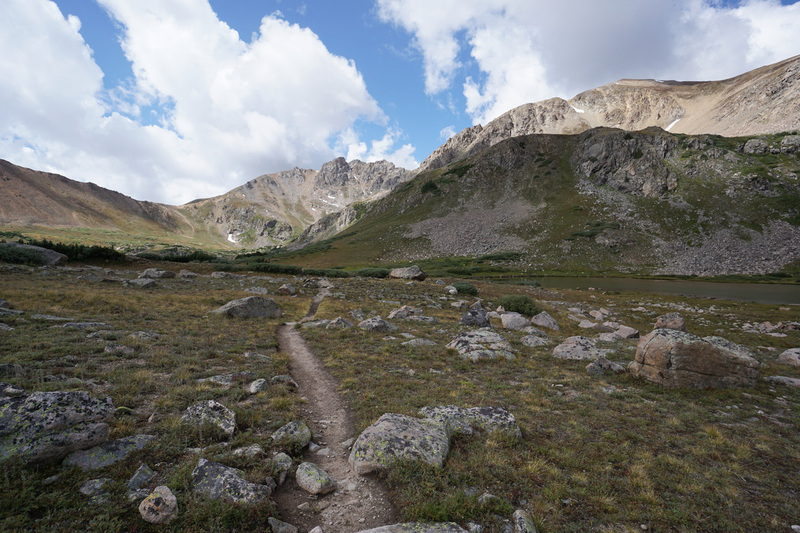 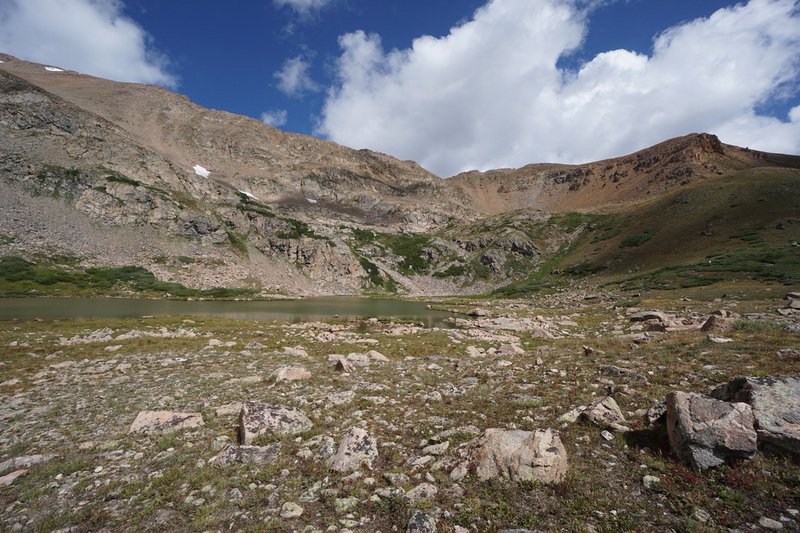 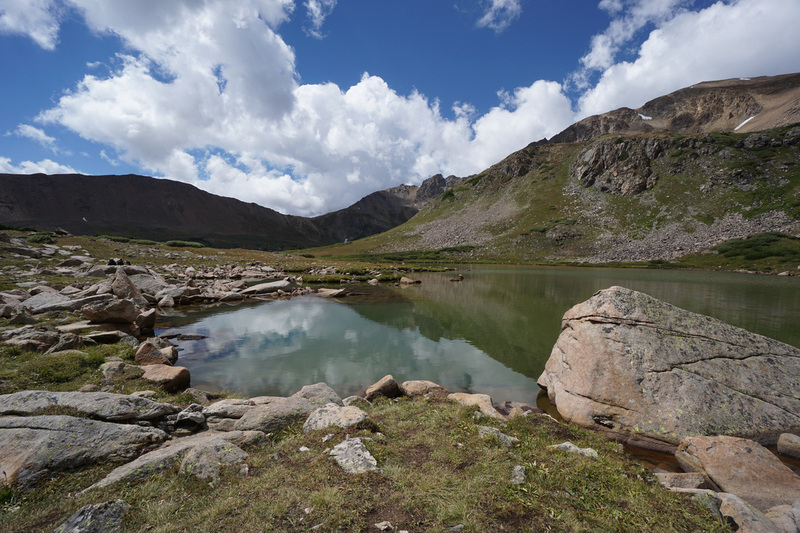 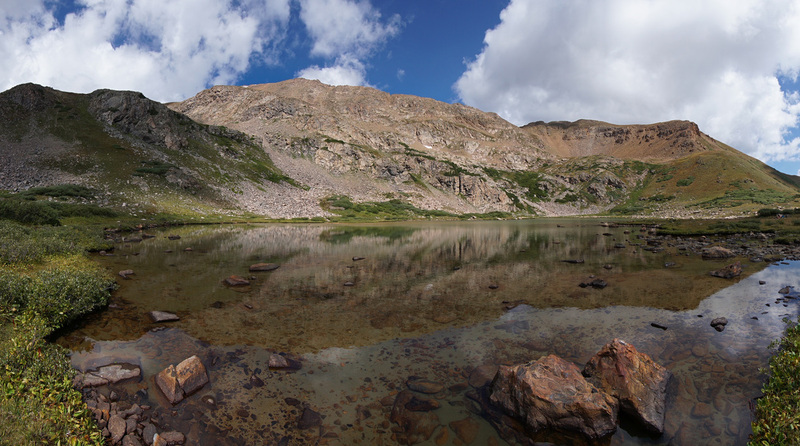 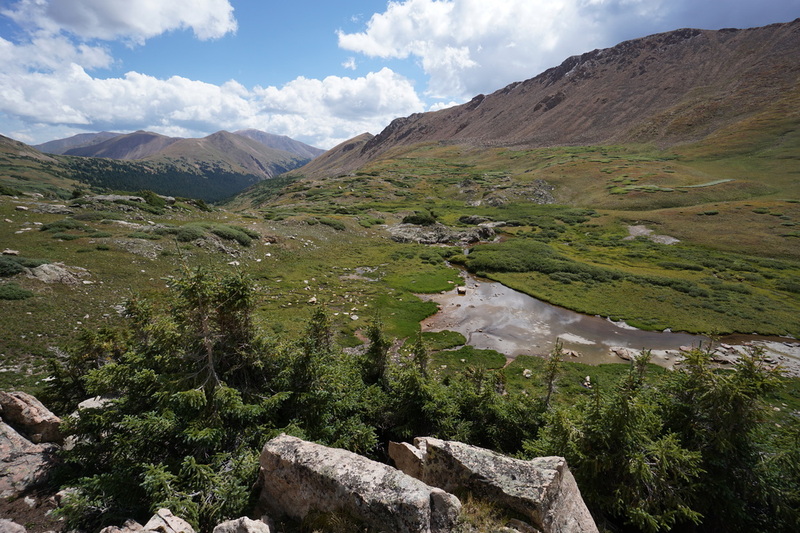 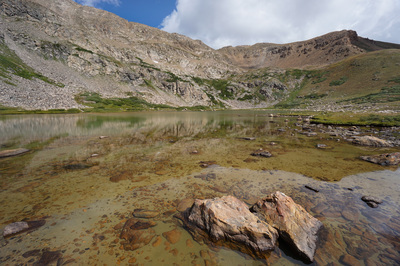 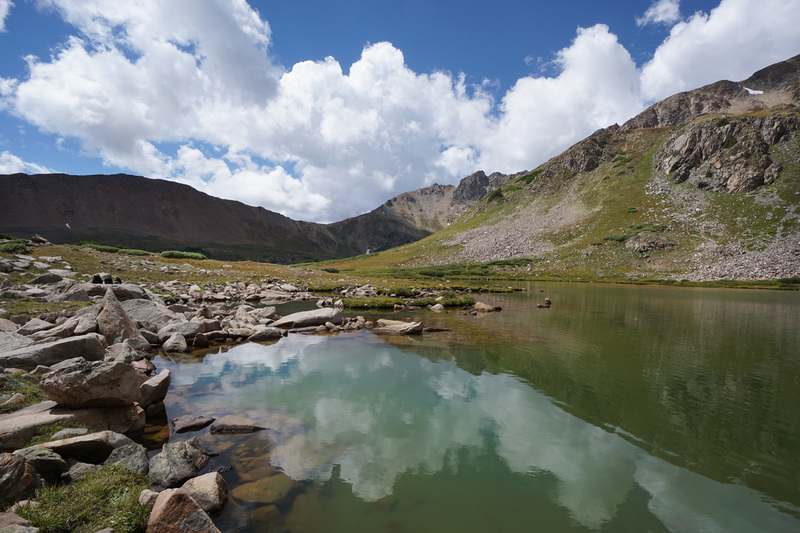 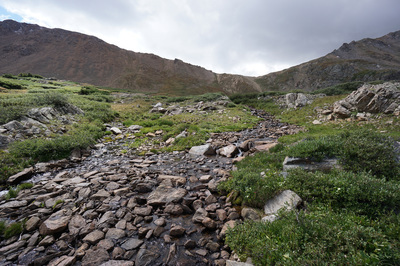 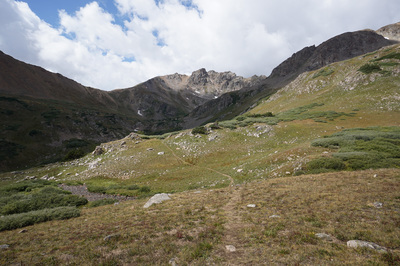 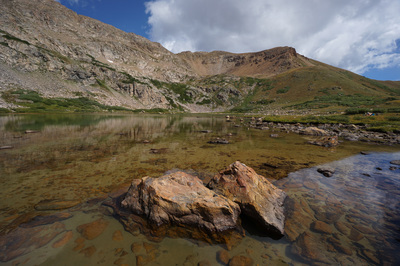 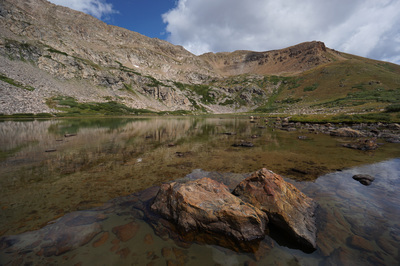 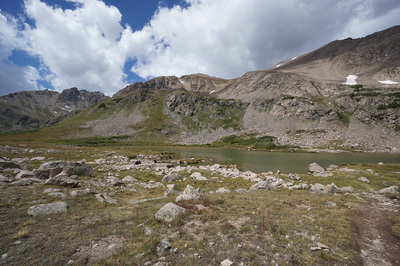 As you approach Herman Lake at about 3.3 miles, the trail gets a little steeper until you finally arrive at a broad shelf at 12,000 feet with Herman Lake stretched out under the Continental Divide. 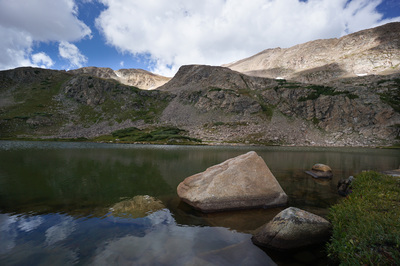 The shore of Herman Lake is peaceful and serene with many flat rocks to sit and relax. If you’re satisfied, then this is the turn around point. However, if the views of The Citadel are just too tempting, then you can continue the hike for another .8 of a mile to the base of The Citadel. 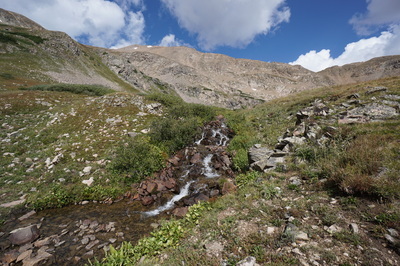 The trail continues past Herman Lake directly towards The Citadel and crosses under a cascading waterfall. After the falls, the trail starts to get very faint. 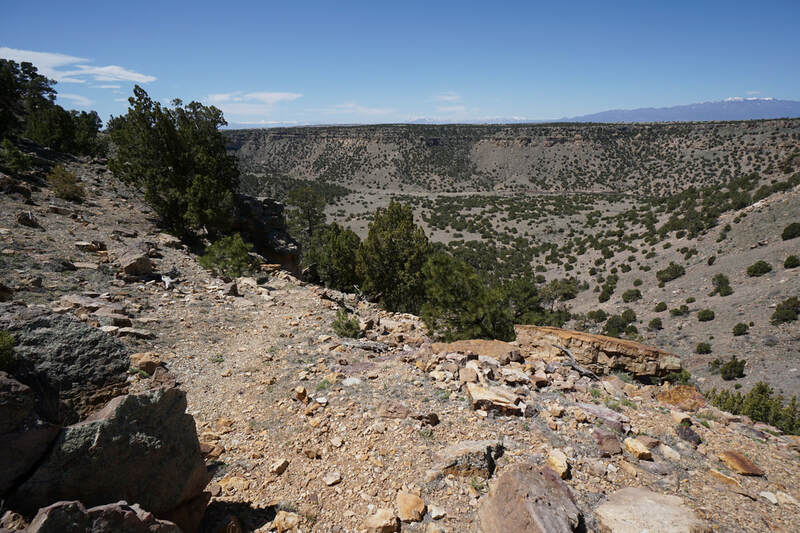 From this point you need to do a little route finding through willows, grasses, rock outcroppings, and streams. 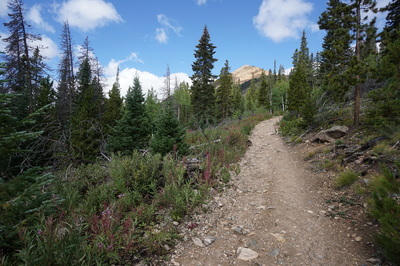 In the early season the route finding may be difficult but later in the season you should not have any problems finding your way. 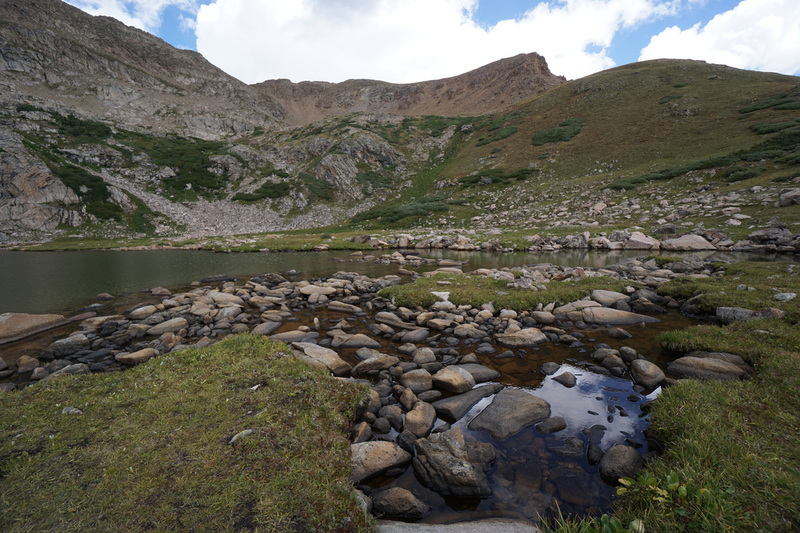 Just follow the faint trail and occasional cairns towards what looks like a shelf lake directly under the The Citadel. The last part of the hike crosses a boulder field to a viewpoint above what is probably a seasonal pond, but dry by late August. 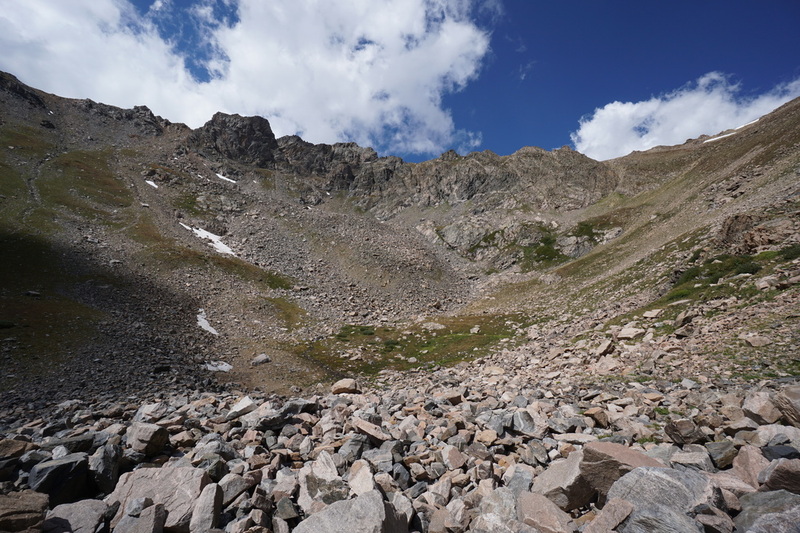 This is the stopping point unless you want to scramble up to the ridge summit. 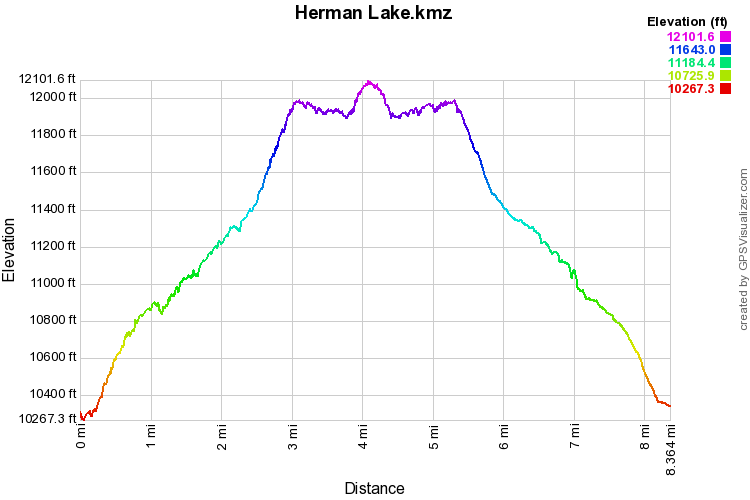 Be careful to find your way back to Herman Lake but if you get confused just stay to the left and uphill to get back to the Lake. 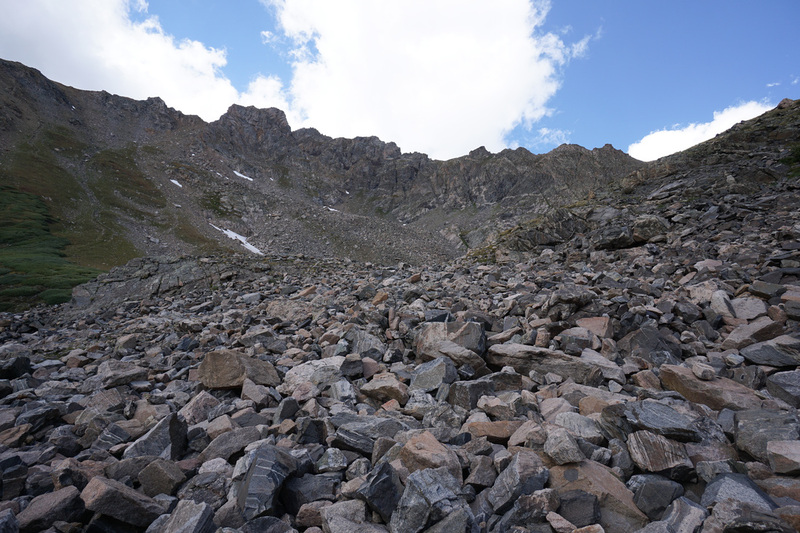 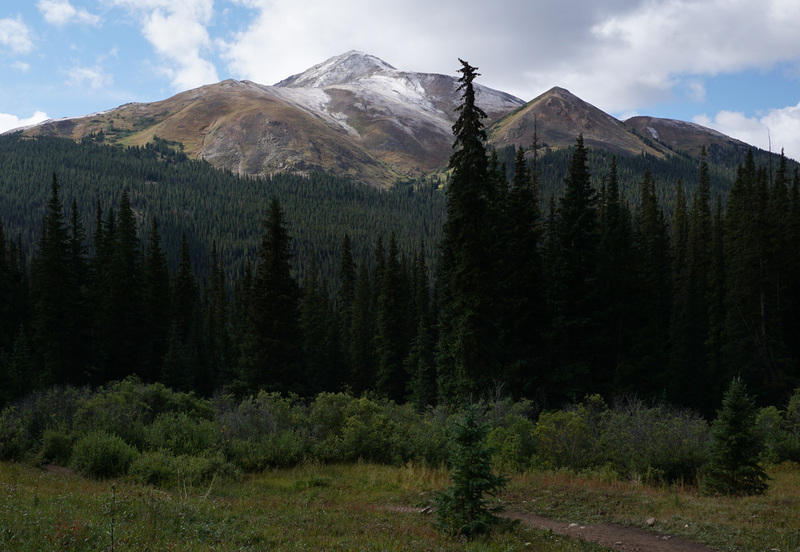 The hike to the base is rugged and more difficult than the trail to Herman Lake, but it is worth the effort and a good way to practice your route finding skills. Once back to Herman Lake, simply head back down the same way you came up. 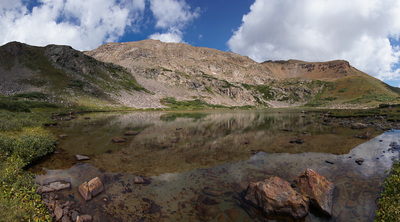 Herman Lake is a great hike but try to visit on weekdays and early in the morning to miss the crowds. 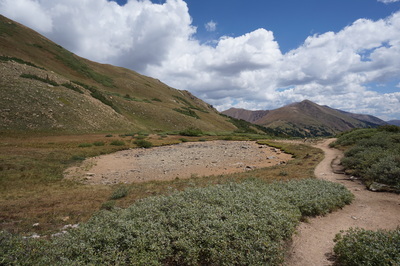 Don’t let the number of cars in the parking lot deter you, the hike is well worth it.